After the weather report (which delights Kevin) We stroll down memory lane on TV shows that Elisa and Kevin remember and sing about. Then Kevin gives a brief update on some of the new gadgets he has acquired since the last time he was on the show. 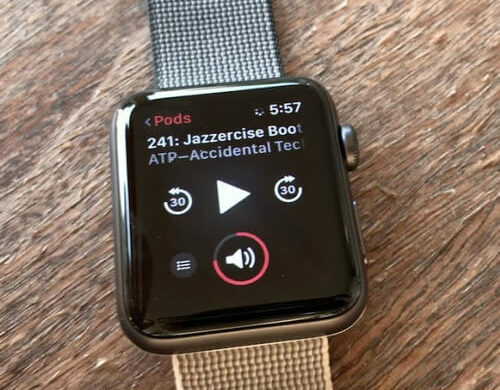 Next we discuss the main focus of the show how to stream podcasts on your Apple Watch. The trials and tribulations Elisa and Melissa have been going through just figure it out. We finish up with picks. Melissa says momma needs a NAS and for that she chooses the Synology 2 bay DiskStation. Mike wants to drop his balls, golf balls that is on people so he goes for a drone that has a camera to take photo’s of the area and he picks GoPro Karma with a harness. Don’t ask. Elisa wants to release her inner musician and rock-out with a set of drums so she goes for Drum kit to let her cut lose. Kevin wants to be more of an iOS centric so he goes for a 12.9” iPad Pro 256 GB WiFi model, again.